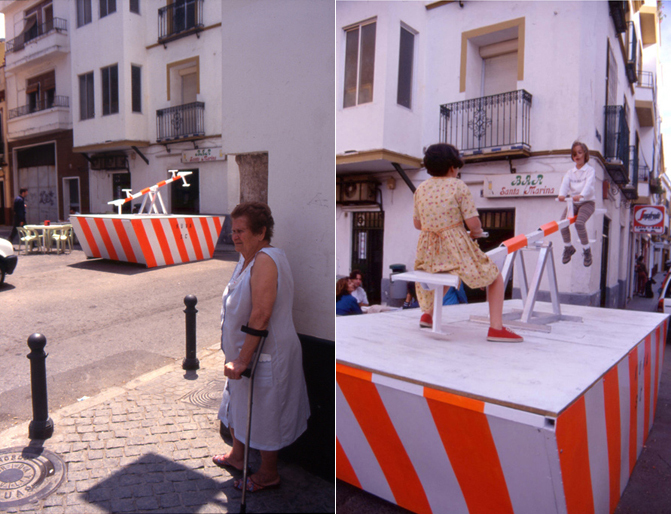 Santiago Cirugeda develops projects with distinct subversive ambitions in urban reality, occupying public space. 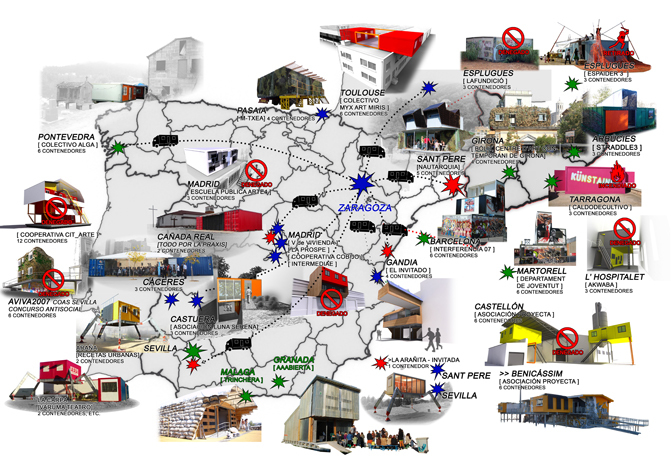 In this project, entitled Recetas Urbanas, he obtained a dumpster permit and installed a playground that looked like a dumpster. He also built and occupied a rooftop crane that passersby believed was there only to move building materials. In a video on you tube, realized with playmobil toys, he shows how to build a temporary flat in your rooftop. The goal of his projects are to find out the gaps in administrative structures and official procedures, to intervene where the law falls short. For his projects, people pay the local government for their permit, and then do what they want, or need to, with it: an urban reserve, breathing space, a meeting point, a children's playground. For institutions, the idea of a global process is an attempt to simplify and control all possible forms of behavior and action. The proposal consists of perpetually redefining global systems of urban planning and legislation. A different use of public space.